Giveaways are some of the greatest creations ever! The prospect of winning, minimal effort on your part, endless goodies for you to enjoy and absolutely free – really, what is there not to love? 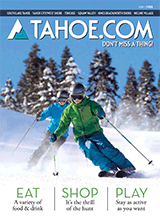 Lake Tahoe giveaways are your chance to enjoy businesses’ finest offerings for no cost. Imagine winning a weekend getaway at a Truckee resort where you spend hours zipping across the slopes. Or win a romantic evening out for two, complete with a sophisticated wine tasting then dinner at one of South Lake Tahoe’s finest eateries. How does a night livin’ it up in one of the casinos sound to you? The only thing you have to do? Simply enter! Hey, someone’s going to win these fun Tahoe giveaways, right? It might as well be you. But you have to put yourself in the running to be in the running, know what we mean? Branch Out with Tahoe Giveaways! 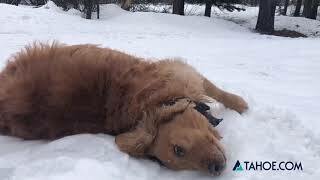 These Tahoe giveaways give you a chance to branch out and try something that you otherwise might not. A bit hesitant about paddleboarding? Winning a set of paddleboard lessons could be just the little push you need to get up and skimming over Lake Tahoe’s sparkling water. You’ll find giveaways throughout the Tahoe area, so some let you get out on the town while others can be enjoyed closer to home. The length of these giveaways varies. Sometimes businesses offer them for a week, sometime for a month. Check back frequently to see what awesome treats are available for your winning.